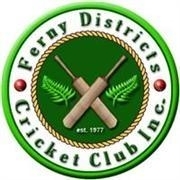 Submitting abstracts U8-U10 | Ferny Districts Cricket Club Inc.
Ferny Districts Cricket Club Inc.
1. What is a match abstract? In a cricket sense a match abstract is simply a match summary. It translates all the essential information from a cricket match that has been recorded in a cricket scorebook onto one A4 sheet of paper providing more easy to obtain match information about bowling and batting and fielding without having to refer to the cricket scorebook. An advantage of a match abstract over simply relying on the cricket scorebook is that the A4 sheet summary can be forwarded to anyone including via email as either an excel or word document. 2. Who submits a match abstract? A match abstract is required from managers or coaches from all Ferny teams from U8 through to U10 for all matches played. U11 to Open Division teams submit their match information into the Mycricket database managed by Cricket Australia and therefore do not submit an abstract to the club statistician. 3. Why submit match abstracts for under 8 to under 10? Match abstracts are submitted to the Ferny Fireballs Club Statistician for the non-competitive grades (under 8 to 10) to assist Ferny Districts Cricket Club with end of season lower age development awards. Ferny Districts Cricket Club offers several awards in the form of special medallions at its annual trophy presentation and the recipients are determined by the Club Statistician referring to the various team match abstracts. Failure to submit a match abstract could result in a player missing out on an earned medallion for a special performance. 4. When are match abstracts submitted and who receives them? All match abstracts for all grades (under 8 to 10) are submitted to the Club Statistician (Geoff Cowles) no later than the Monday night immediately following a match. As matches in the under 8 to under 10 grades are always played as one day games every Saturday these abstracts are submitted each week during the season. The bottom line: Getting the abstracts to the Club Statistician on time is paramount. 5. How can abstracts be submitted? They can be submitted via email to the Club Statistician (Geoff Cowles). Download the Blank Abstract Template for U8 here. Download the Blank Abstract Template for U9 & U10 here. The coach/manager/delegate is required to complete the relevant age group abstract and email to statistician@fernyfireballs.org.au within 3 days for the Statistician to collate and retain as the record of your games. This is the only way to allow for the various club encouragement awards to be allocated at the end of the season at trophy night. Thus, it is important to ensure scoring is accurate and all those little triumphs like catches and wickets etc are recorded against the right player. Poor record keeping can mean that your son or daughter actually misses out on something which is a shame and unnecessary. Get into the habit of completing it on the week end and emailing it in, otherwise the statistician will be chasing it. When saving the template, change to file name to show the age group, team ID/colour, Round no. and date. For example, U8RED_Rd1_12Oct2013_Abstract. This will help the Statistician manage the files. Complete all the blue shaded fields, entering the names by following the score book. It only requires overall score details for the opposition team. Only player names etc are entered for Ferny players. Any errors in data entry such that the totals don't agree, an error/red signal will be flagged and you will have to make it agree!